HubPages is great & I personally love it, not only for the money making but the community is also great over there too. It’s free to join & it provides an easy way to make money from your content without requiring any technical knowledge of building a website. If you enjoy writing or have something that you’re enthusiastic about then I’m fairly confident you’ll enjoy HubPages just as much as me. Once you’re signed up you’ll be given the opportunity to start your own Hub, which is basically your own page on the web. 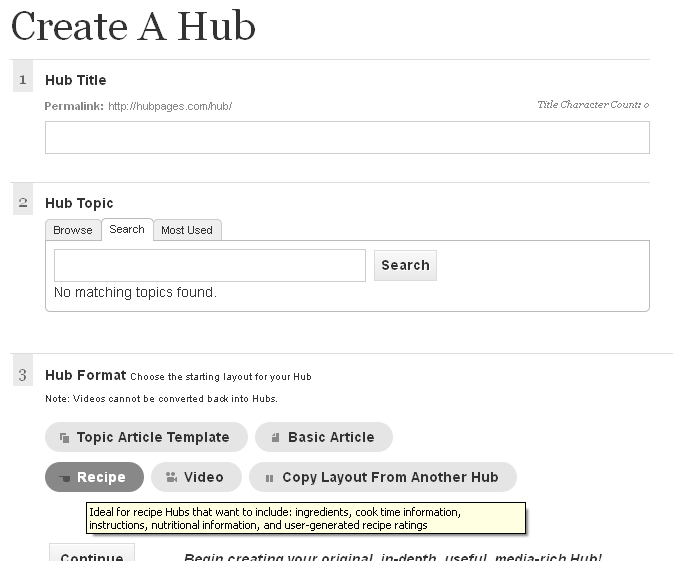 With their easy to use editor you can quickly setup the layout of the page based on the type of content you’d like to publish, for example if you’d like to publish a recipe you’d just click the recipe button & it would automatically put a template together for you ready to edit. From there you’d then go on to publish your content. You can add all sorts to your Hub such as images, videos, ratings, maps, polls and quizzes to make them as engaging & fun as possible. When you publish your Hub it’ll be sent for review & given a quality score. The higher the score the better because a high quality Hub will be featured on other member’s Hubs & will get the opportunity to be listed in search engine results. If your Hub is really high quality then it can even get the chance to feature on the homepage attracting maximum visitors. The more visitors you get to your Hubs the better because HubPages give you the opportunity to earn money via their Ad program, Ebay Program and Amazon program. You can sign up the programs in just a few clicks & once you’ve done so you’ll be able to begin earning money from each of your Hubs. You’ll earn money for advert impressions & any referrals you send over to eBay or Amazon who then go on to make a purchase. The great thing about HubPages is that not only does it make it easy for people with a lack of technical knowledge to publish their own content on the web but it also makes it easy for them to get visitors too. Since each Hub is manually reviewed the majority of the content on their website is fairly high quality which means search engines tend to rank Hubs pretty well. 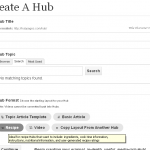 They also allow you to create as many different Hubs as you like, and of course the more you create then the more money you’ll begin generating.